When we developed the Visitor Host training for the G20 Leaders Summit here in Brisbane in 2014, the primary principle was to treat every visitor as a personal guest. Regardless of where they went or what they did while they were here in Brisbane, we wanted every one of them to have the feeling as they travelled back to wherever they were from, that Brisbane was home to really nice people. That’s the memory that sits with us the longest. People will inevitably forget many of the other details but will likely remember how we made them feel. Which, by association, also creates a positive feeling about our city as a destination of choice for travellers. This works just the same for any business. If customers feel welcomed, understood, important and comfortable, then there’s a very good chance they’ll be back. Even when things don’t go 100% as planned, if the interaction is one of good grace and humour, they’ll possibly still feel comfortable with the idea of coming back just because they liked dealing with us. So, rather than just say “treat everyone like personal guests”, we developed a simple framework to follow. And, like many things today, we gave it an acronym, so it was easier to remember. Give them a champion welcome. Friendly, smiling, inviting, energised and with a positive attitude. Be sure to try to discover and use their name. Seek to fully understand the type of person they are, how you need to treat them to make the moment the best it possibly can be and the things they need, desire or seek at this time. Make the effort to show a high level of attentiveness and really engage with them. Make them feel as though they are the most important person in your life for the time of the interaction. Attend to their needs on every level and look for opportunities to exceed their expectations so when they leave, you will have created memorable moments they will look back on fondly and tell others about. Show them you have enjoyed the moment/time you have spent together and are grateful for the opportunity to assist them. Thank them for their business and tell them you look forward to serving them again. During the training sessions when we introduced the GUEST Model, I told a story about a fellow named Billy the Bellhop. It was an example of Guest Hosting or as we started referring to it, ‘GUESTing’ to help put the suggested behaviour into better context. My Mum and Dad recently spent a couple of months travelling through Europe. When they got back we had dinner and, given my interest in the area of Customer Experiences, I asked Mum who the most memorable person was on the trip for the experience they provided. She said without a doubt it was Billy the Bellhop from Barcelona. 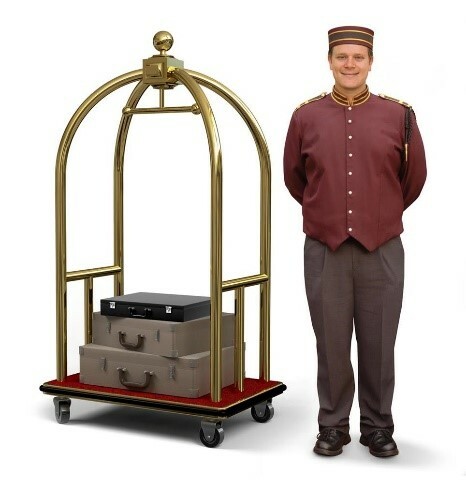 As a bellhop, Billy’s role is basically to collect guests’ bags from the back of the cab and carry them to check-in. However, Billy’s approach to his role went well above and beyond. As they arrived and climbed out of the cab, he greeted them with a big smile and introduced himself. “Hello, Welcome to the hotel. My name is Billy and you are?” he asked. “I’m Ruth and this is Robin” Mum replied. “It’s lovely to meet you” he continued as he picked-up their luggage. “Is this your first time in Barcelona?” he asked. “Yes” Mum replied as they started towards the desk. The conversation continued for several minutes and Billy gave them a number of ideas for things to see and do while they were there. Not only had he remembered their names, he also gave them the sense of being pleased to see them, so they felt appreciated and welcome. They felt like they mattered! Using their names also demonstrated he was someone who was genuine in his attention because he cared enough to listen to them when they met and then remembered their names. When people genuinely matter to you... they sense it. 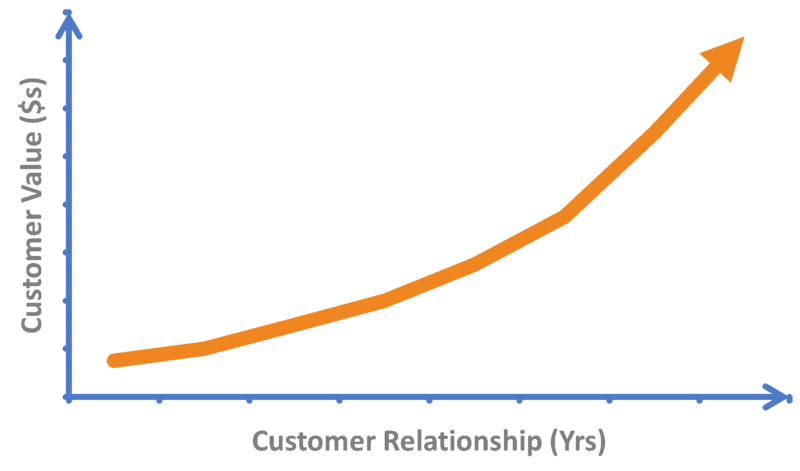 One of the most important elements of any business’ Customer Success strategy is to nurture a customer-centric culture where every member of your team genuinely cares about each other and the people they serve. 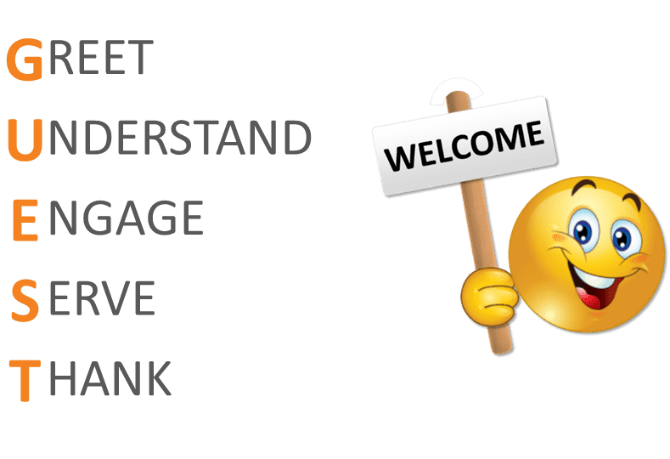 If you would like assistance in achieving this change for your team of for information on how you can implement the GUEST Model in your business, please contact the author.